The clients who commission me as a Schenectady conference photographer are looking for someone who is an experienced professional photographer who can cover a wide variety of Schenectady conventions, conferences, meetings and events. I bring a deep skill set to your doorstep and create a flexible but custom set of services and specifications to help you with your photography needs. Each project is unique. My decades of working as a full time professional photographer in Schenectady mean that I’m able to ask the right questions while planning your event and expertly provide the right services for you during your event. This experience which spans a couple of decades as a full time photographer also means that I’m well versed in the technical and logistical challenges that different venues pose. And the challenges that different types of events pose. My early career was as a full time news photojournalist so I’ve acquired the skills to be able to work with diverse sets of people under a wide variety of challenges. You won’t need to worry if you are hiring a photographer who knows how to behave in a business setting. Or who knows how to deal with a large ballroom. Or worry if your photographer can handle indoor and outdoor photos. Instead you’ll get a photographer who knows how to quickly and efficiently arrange an unplanned photo of 28 judges quickly and effortlessly. 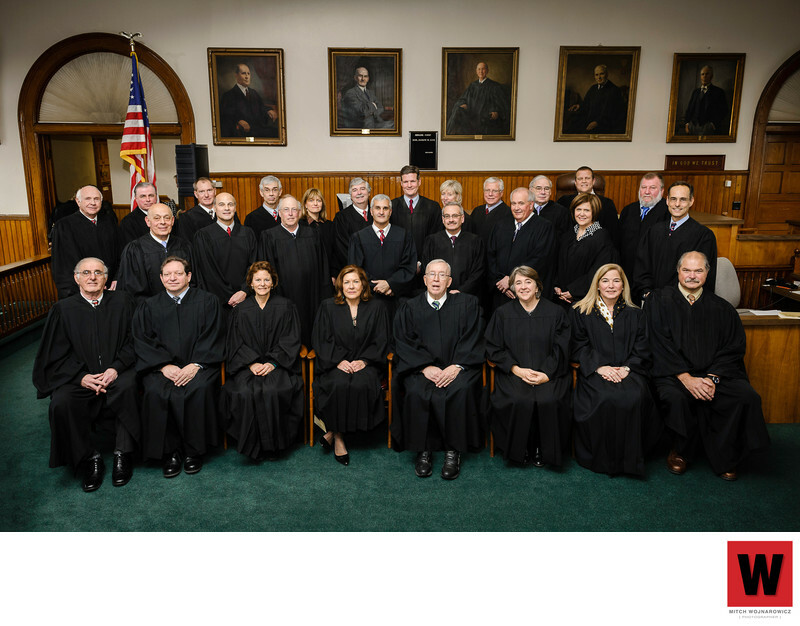 After the swearing in ceremony of a county supreme court judge, I suggested to one of the organizers that I could create a group photo of all the judges in attendance. Lighting it effortlessly and pulling it together logistically, the photo was done in just a few minutes with little disruption to the busy schedules each one of them undoubtedly have. Let me use my decades of experience with a large variety of events to help you plan and execute a successful event. Your photography needs can be taken care of smoothly from the inception of the planning phase right through delivering was you expect, on time and on budget. You have my promise that stacks of emails won’t be coming your way. I respect your time and your ability to control the amount of attention your inbox takes. You will get an email or two giving you a rough quote if you provide me some basic specs and asking some questions to help guide the conversation. Or if you prefer, please call me at 1 (518) 843-0414. While I’m most often out in the field during “normal” business hours, and well after the time normal business hours are over, I’ll get back to you quickly so that we may speak about your upcoming event. It’s never too early to reach out to me. Many yearly events re-book me as soon as they have the dates committed for their event in the coming year. So dates on my calendar do fill up well in advance. I look forward to exploring how I may be able to easily take this portion of your event planning from your to-do list onto your completed list. Location: Montgomery County Court House.